Symbols are a fundamental requirement for debugging and other diagnostic tools. Fortunately in most cases when you are building and launching your application in Visual Studio you don’t have to think about symbols for your code. However the odds are that at some point in time you’ll need to change how symbols load, where the debugger looks for them, or will need to load symbols for a 3rd party component (e.g. Windows or .NET libraries). Additionally because symbols are so fundamental to debugging, we continue to make tweaks to the experience so understanding the ins and outs of how Visual Studio behaves can save you hours of frustration. 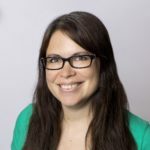 In this blog post I’ll walk you through what symbols are and how to configure Visual Studio’s symbol settings (which are used by other diagnostic tools beyond the debugger such as the performance tools and IntelliTrace), the various knobs available when debugging, and how to trouble shoot issues when Visual Studio isn’t able to find the symbol files that you need. What is a symbol file? For the Microsoft compilers, these are the .pdb files that are produced as part of your build. What is in a symbol (.pdb) file? The exact contents of symbol files will vary from language to language and based on your compiler settings, but at a very high level they are the record of how the compiler turned your source code into machine code that the processor executes. Why do I need symbols? Without symbols, tools are unable to correlate the instructions executing in the application to the original source code. When debugging, without a symbol file you are unable to set breakpoints on a specific line of code. If symbols are not loaded you will see a hollow circle with a warning symbol while in debug mode, and if you hover the mouse over it a tooltip will tell you that the breakpoint will not be hit because no symbols have been loaded. Depending on what you are debugging, symbols may be required to show you a complete call stack and to inspect objects using the Watch windows, or DataTips (e.g. this is true for C++). Note: If you are debugging a dump file that does not contain the heap, the debugger will need access to the original binary file so it can determine the correct symbol file to load. Said another way, if you are debugging a dump with no heap information, you need both the corresponding binary and symbol file on the symbol path. Visual Studio will try to load symbols for all binaries (referred to as “modules”) in the process when the module is loaded (and for all modules already loaded when attaching to a process). The exception to this is when you are debugging managed (.NET) applications, the debugger will not load symbols for any binaries considered “not your code” when “Just My Code” is enabled. If you right click on a module in the Call Stack or Modules windows and choose to load symbols it will automatically try to get them from the Microsoft public symbol servers assuming it can’t be found on your local machine. The symbol file is located in the same folder as its corresponding module. 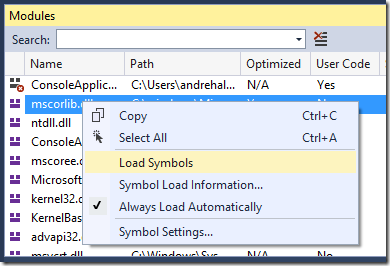 The default build output settings for Visual Studio projects will output the symbols next to the binaries. This means that Visual Studio will always be able to find the symbols for your projects. The symbol file is located in the same directory is was placed during compilation. The full path of the .pdb is placed into the binary at build time. How can I tell if a symbol is loaded and if not why? This will display a box that shows you all the paths the debugger searched for the symbol file. If you are building and debugging your application from Visual Studio this option likely won’t apply to the symbols for your modules, but remote symbol locations (or symbol servers) are used to load symbols in situations where you need a 3rd party symbol file (e.g. one from Microsoft), or you are working in an environment where you may not have the symbols on your local machine (e.g. 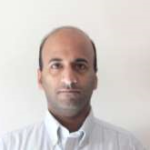 your application is built using a build server. If you are using TFS read about how to add symbol and source archiving support). You can add as many paths as you need. There is a pre-populated entry for Microsoft’s public symbol servers. If you want to load symbols for modules from Microsoft (e.g. for the runtime or operating system) check this box. 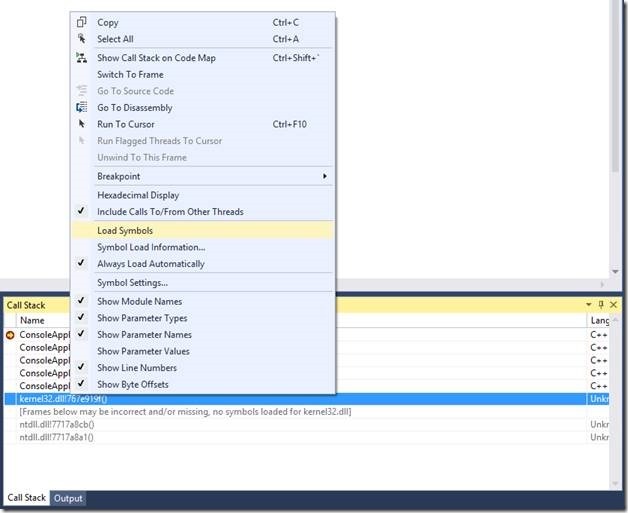 Visual Studio will search local paths before querying network paths regardless of the order provided. For performance reasons, beginning in Visual Studio 2012 Update 1, Visual Studio will only search each symbol server once for a symbol file in a given Visual Studio session (until you restart Visual Studio) when automatic symbol loading is enabled. This means you don’t pay the cost of a network call every time you start debugging when the server doesn’t contain the file. 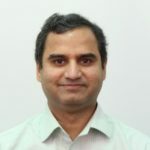 Environment Variable: _NT_SYMBOL_PATH: If you see this in your symbol file locations it means that the environment variable _NT_SYMBOL_PATH is set. Visual Studio uses a library from Windows to load symbols, and the library will always search any locations in this environment variable for symbols; which is why you cannot uncheck the option in Visual Studio. You will need to unset the environment variable if you want Visual Studio to ignore the variable. If you need the environment variable for other purposes, the easy way to unset the variable locally is to open a command prompt, enter “set _NT_SYMBOL_PATH=” and then launch Visual Studio from the command prompt. You system’s environment settings will remain unaffected. The symbol cache is the location on your local machine that Visual Studio places a copy of the symbols it finds on remote locations for future use. 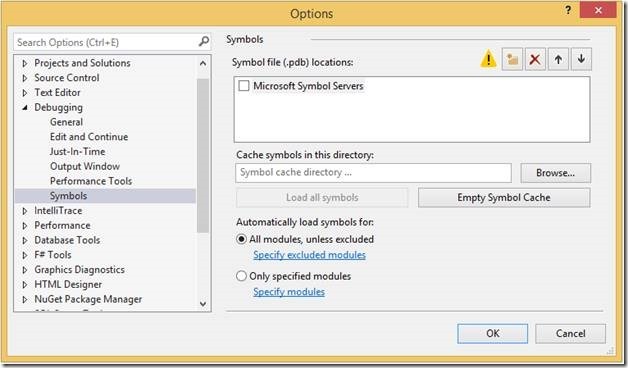 Assuming you provide a path for the symbol cache, Visual Studio will search the cache before trying to find symbols in any symbol file locations you specified above. For performance reasons we recommend specifying a symbol cache if you need symbols stored in a remote location. This button is only enabled while Visual Studio is in debug mode, and clicking it will tell the debugger to try to load symbols for all modules in the process. 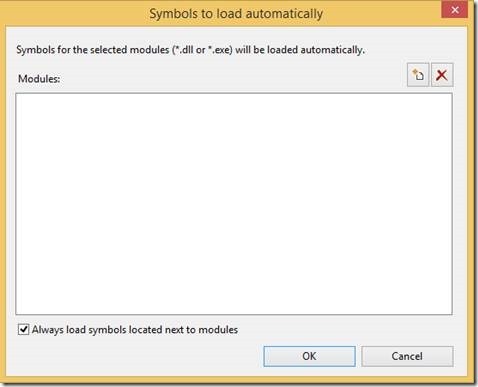 Automatically load symbols for all modules unless excluded: As the title indicates, unless you add a module to the exclude list by clicking “Specify excluded modules”, Visual Studio will try to load symbols for all modules in the process. You will typically want this setting if you want symbols loaded for almost everything in the process, or if there are only a handful of very large ones you don’t want loaded for memory or debug startup performance reasons. Only specified modules: This setting by default will load symbols that are next to the binary on the disk, but will not try to load symbols for any other modules unless you add them to the include list by clicking “Specify modules”. Symbols can be manually loaded from the Call Stack window as needed. To do this, you can select an individual frame (or select all with ctrl+a), right click and choose “Load symbols”. This will load symbols for all of the modules that were in the call stack window at that time. If loading symbols improves the call stack and additional modules are found you will need to repeat this as it won’t automatically try to load symbols for modules that appear due to the previous load. The other option to load symbols manually when you are debugging is to locate the module in the Modules window (Debug -> Windows -> Modules), right click and choose “Load Symbols”. The performance of your debug session—you don’t have to wait for symbols to load for everything in the process you are debugging. 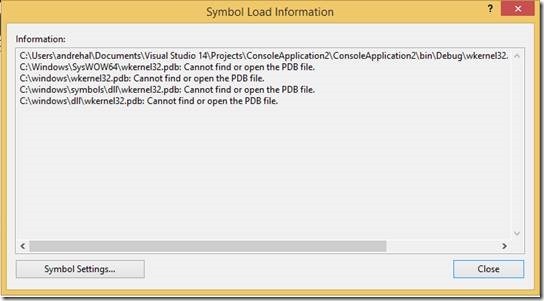 Visual Studio’s memory—if you are debugging a very large application you may need to selectively load symbols for only the modules you are interested in. Since Visual Studio is a 32bit process, it can at most grow to 4 GB in Virtual Memory. For very large applications you can have more in symbol files than this. You can leave your symbol servers enabled without encountering unexpected performance hits when debugging new applications or during your first debug session in a new Visual Studio instance. If you have a very large solution that you build entirely on your machine you will need to uncheck the “Always load symbols located next to modules” checkbox to see the benefits I mentioned above. Then you will either need load the symbols on demand while debugging, or set the ones you need to automatically load. If you need to hit breakpoints in those modules you will want to set them to load automatically. If you aren’t sure you will need the symbols ahead of time you will want to wait and load them only if you need them to inspect an object or complete the call stack. Keeping track of symbols and configuring your settings correctly and for optimal performance can be quite complicated. Hopefully the above content helps you understand the settings available to you. However if you run into issues I did not cover, or have any other feedback you’d like to share, please let me know below, through Visual Studio’s Send a Smile feature, or in our MSDN forum.